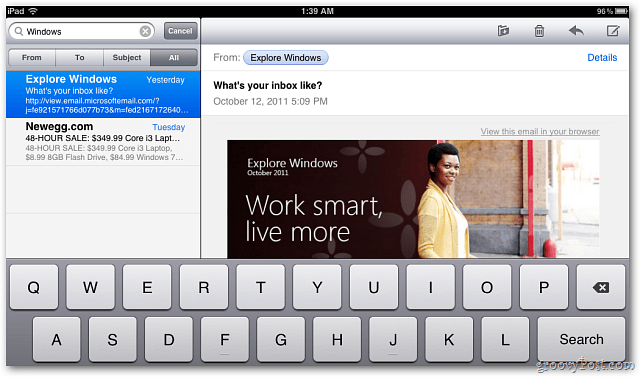 Yesterday Apple released its new mobile operating system iOS 5. Apple is touting more than 200 new features. Here’s a look at some some of what you can expect. 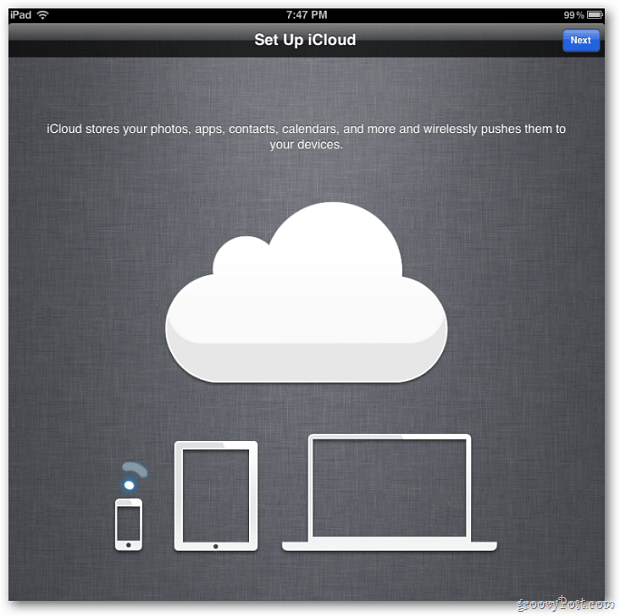 iCloud is a new service that comes with every new iPhone, iPad, and iPod touch. The service lets you to access your apps, music, videos, photos and other data from anywhere you have an Internet connection. It’ll keep your email, calendars and contacts up to date across all of your iOS devices and Mac. iCloud gives you 5GB of free storage. If you need more, upgraded storage plans start at $20/year for an additional 10GB. Take a photo, upload it to iCloud where you store up to 1,000 pictures for 30 days. You can then stream the photos and sync them to other devices. If you sync your photos to your PC or Mac – there isn’t a limit since your hard drive has much more storage capacity. Create a document in Word or Pages on your Mac, upload it to iCloud, and when you make changes to the doc, you can see them across all devices. 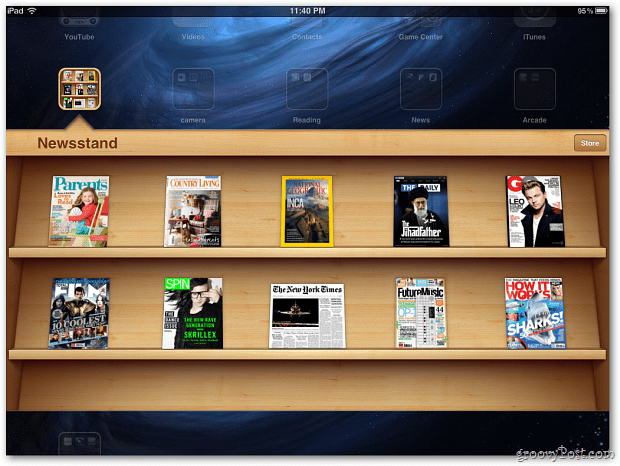 Newsstand is similar to iBooks – but for magazines and newspapers. It automatically updates new issues in the background. 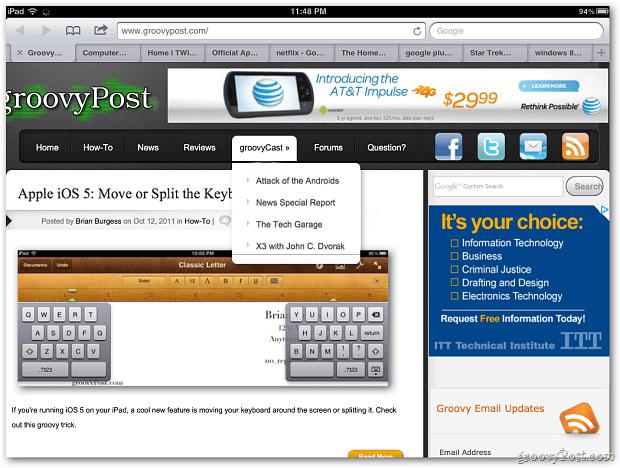 If you use your device to read a lot of periodicals, improves the experience greatly. 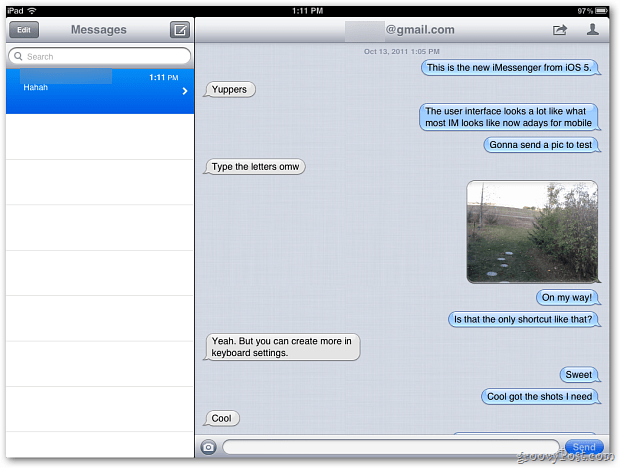 iMessages is a whole new way to IM your friends, family and colleagues. It includes unlimited text messaging to other iPhone, iPad, and iPod touch users via WiFi or a 3G connection. You can send photos, videos and your current location as well. Another interesting feature is it let’s you track messages with delivery receipts. Now your coworkers can’t say they didn’t get the memo. Safari has UI changes which include tabbed browsing, saving sites to read later (via iCloud) and Reader to remove ads from cluttering up articles. Twitter is integrated in iOS 5. This makes it easier to tweet messages to your followers. 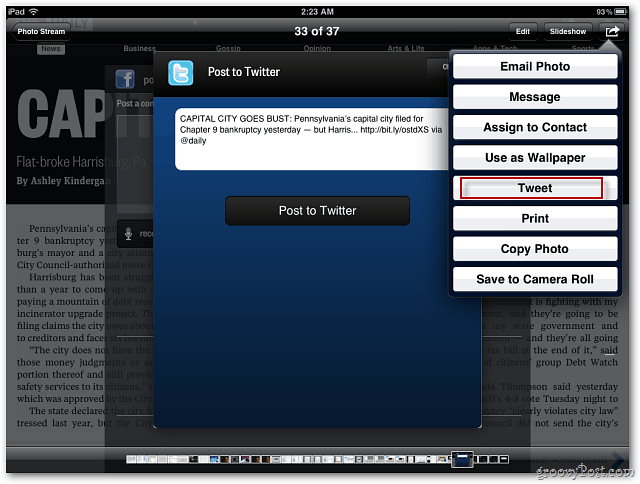 It works a lot like tweeting from any native app in OS X Lion – so you can easily tweet links, photos, videos and maps. You can also add your location to any tweet you send. Not all apps have Twitter support, but count on developers to add it. Developers can use the iOS 5 SDK which includes support for the Twitter API. The Cameras is easier to access and use. Now you can open it directly from the Lock Screen. Just click the camera icon and you’re ready to take pictures and videos. Mail has some cool new features. Rearranging names in the address field is easier by dragging addresses to different fields. When searching for a specific email address, it’ll search the body of messages too. 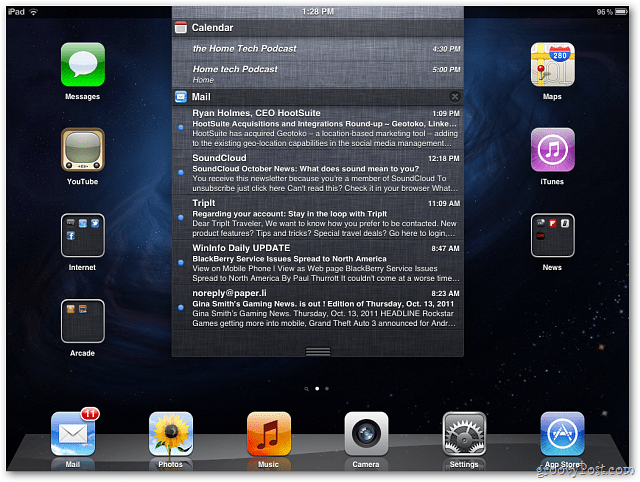 The Notification Center is a good way to keep the apps that notify you of events in one central location. You can configure apps like email, weather, stocks, reminders, calendar events and more to display in the Notification Center. To access it, tap the clock at the top of your device and swipe down. 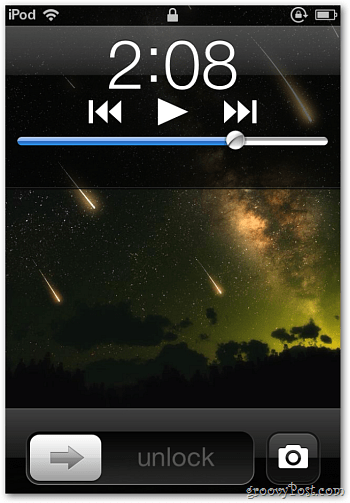 You can set it up to display on your lock screen as well. 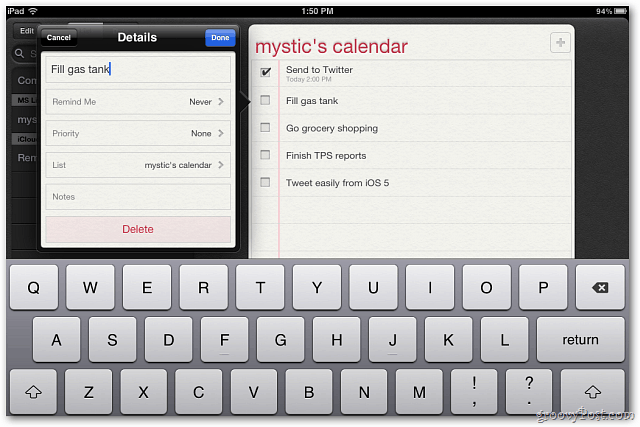 Reminders is a native new app in iOS 5. For those of us who are to-do list junkies, this comes in extremely handy for remembering tasks. You can also set this up to alert you in the Notification Center and sync with iCloud. The Siri personal assistant in iOS 5 (iPhone 4S Only) is getting the most buzz. It’s the best voice recognition and AI program that I’ve seen. Since I don’t have my iPhone 4S yet, check out this YouTube video from ruskin147. It shows a real world demonstration of how it works – notice Siri recognizes the British accent. Groovy! Tabbed browsing. Who would have thought it would have taken them this long! Awesome write-up. Thnx. Did the iPad 2 get Siri? @shockersh: Nope the iPad 2 doesn’t have Siri unfortunately. From what I know, it’s only available with the iPhone 4S. Which makes no sense. It already runs on the iPhone 4 and they are going to pull it. I would think the iPad 2 has the right hardware to run it. I’m sure if you use Cydia there will be the options to get it. I am just not a fan of Jailbreaking my devices.